The semi appears to have crossed over the highway’s center line and veered off of the road before striking a tree. Two people were in the vehicle at the time of the crash, including 52-year-old Anthony Whitehurst, who was driving the vehicle, and 46-year-old Marilyn Whitehurst who was a passenger. Both occupants died from their injuries. The victims were from Coldwater, Mississippi. According to the Insurance Institute for Highway Safety (IIHS), 62 percent of large truck occupants killed in a vehicle collision was killed in accidents that only involved one vehicle. Run off the road crashes in which a vehicle veers off the roadway on its own cause a high number of passenger vehicle accidents as well. About one out of five-passengervehicle occupants killed in crashes dies in a single-vehicle crash in which the car or other vehicle leaves the roadway. In many cases, the vehicles strike a fixed object, most commonly a tree. In other cases, vehicles roll over or flip. Both of these scenarios are extremely dangerous and have high rates of fatalities and injuries. 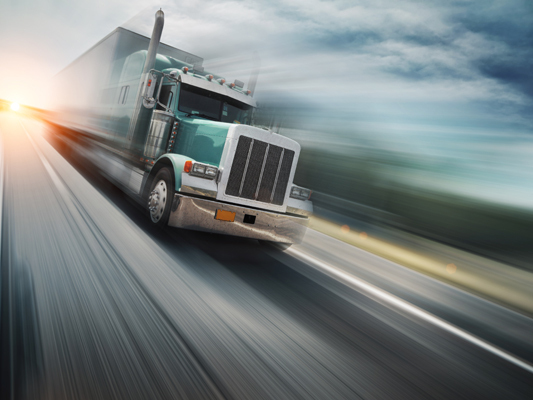 Commercial truck drivers often operate their vehicles for long stretches of time. Legally, these drivers are permitted to drivefor stretches of up to 11 hours at a time. This can lead to driver fatigue and increase the risk of accidents. If you or a loved one is in need of legal assistance after a truck accident in Mississippi, call Giddens Law Firm, P.A. at (601) 355-2022 or Toll Free at (888) 335-2022. The initial consultation is free of charge, and if we agree to handle your case, we will work on a contingency fee basis, which means we get paid for our services only if there is a monetary recovery of funds.